As part of a planned succession, the CEO of the recently started Singapore LNG (SLNG) terminal, Neil McGregor, has decided to step down and pass on his four-year stewardship of the multi-billion dollar facility to incoming CEO-designate John Ng by year-end. The move comes "after an extensive search process that commenced a year ago", the SLNG board said yesterday. This confirms market speculation over the past few months that some big changes were afoot in the power/energy sector. Mr Ng resigned as CEO of YTL PowerSeraya on Wednesday, a post he has held since April 2009 and after 30 years with the second-largest genco. Coincidentally, he had earlier succeeded Mr McGregor as PowerSeraya's CEO, with the latter subsequently headhunted to helm SLNG during its first year. 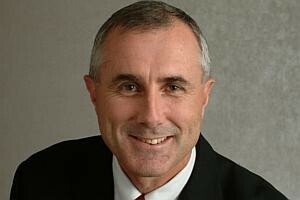 "With the LNG terminal's operations well established and its expansion plans under way, Mr McGregor has decided that it is time for him to hand over the reins to a very capable successor, who can build on the success of SLNG and help realise the new LNG procurement framework, once it has been put in place by the Energy Market Authority and the Singapore government," SLNG said. The latter will be a critical next step in determining how Singapore should proceed with future LNG purchases - beyond just meeting domestic power and industry needs - in its bid to grow into a regional LNG trading hub. The changing of the guard at SLNG was announced at a staff meeting yesterday by its chairman, Bob Tan, who paid tribute to Mr McGregor's work and legacy, and the impact it has had on the local and international LNG scene. He said: "Under his leadership and through the help of many agencies, SLNG built a game-changing business strategy, and a world-class facility from scratch, on time, within the original budget and setting an outstanding safety record of 15 million man-hours without a lost time incident. Not an easy feat, when you consider the progress of many other mega projects in the region, but one achieved and done in true Singapore style." Of Mr Ng, who will join SLNG as its CEO-designate from Dec 1 this year, Mr Tan said: "We are fortunate to have someone of John's calibre and energy to take over from Neil, and to lead in continuing the good work achieved by the SLNG Team." When contacted, Mr Ng told BT that it was premature for him to discuss priorities and directions for SLNG at this time, adding that he would need to discuss with the SLNG board and senior management the impending projects to focus on. "Neil has done excellent work for SLNG right from the terminal's inception, to its construction and its commissioning, and also in putting in place expansion plans. And I will have to ensure that this good work continues in order to enhance the value of the terminal," he added. Under Mr McGregor's watch, the Jurong Island terminal, involving $1.7 billion in investments so far, successfully started commercial operations in May this year and just earlier this month started to expand beyond its core business by providing its first vessel cool-down service for LNG ships. SLNG yesterday also disclosed that with the terminal's regasification capacity set to increase to 6 million tonnes per annum this year-end when a third storage tank plus associated facilities come online, the final investment decision, including construction award, for a fourth tank, (increasing SLNG's capacity to 9 million tpa) is expected in early Q2 next year. Earlier, Mr McGregor said he felt that SLNG's top priority in the near term was to turn its focus from project to business-oriented goals. This would be achieved by "future-proofing" the terminal to enable it to berth a wide range of LNG vessels from the smallest ships to the largest Q-Max vessels, with this in turn facilitating LNG business opportunities that may include LNG breakbulk and transhipment, LNG bunkering, LNG trucking or nitrogen blending for regasified LNG. SLNG said Mr McGregor will remain on its board as non-executive director after he steps down, "but not before taking a well-deserved break".